Karen Lawson is the CEO for Australia’s largest corporate startup accelerator, an award winning business executive and leader in the digital industry. She has held executive positions within both global companies and joint ventures. With experience leading teams through change and motivating and developing cross functional teams to peak performance, Karen is extremely passionate about delivering great results and helping others achieve their true potential. 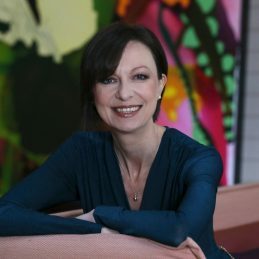 Karen is a prolific networker and an experienced media commentator and guest speaker, with appearances on TV, radio in print and digital, as well as industry forums. In 2016, Karen took the reins of Slingshot, a corporate accelerator focused on driving collaboration between Startups, Scaleups and corporates to lead the next wave of innovation. More than 50 Startups have participated in Slingshot’s programs, achieving a combined market capitalisation in excess of $60m and creating nearly 100 full time jobs. Karen is leading the business through its next stage of growth, using her proven experience in driving reinvention and transformation to help Australia’s biggest businesses stay ahead of disruption. Prior to her role at Slingshot, Karen served as CEO of CareerOne, a joint venture between News Limited and Monster Worldwide. With a remit to forge a new digital strategy, Karen restructured the business from a traditional job board, into a leading targeting and digital business offering media, employer branding, SaaS and sourcing solutions. CareerOne went on to be awarded a spot in the coveted BRW ‘Top 50 most innovative companies’ list for 2014. BRW Magazine quoted this turnaround as follows: “CareerOne is no longer second to SEEK in the recruitment advertising market – not because it’s caught up, but because it has redefined the market it is in.” Karen also served as General Manager – Business Development at Yahoo7! where she held full commercial and operational responsibility for data, advertising, publishing, technology, search, mobile and strategic partnerships, including the Microsoft Bing alliance. Karen has a passion for driving innovation and has worked alongside a number of leading organisations as a consultant including Laureate International (the largest private educator in the world), Harris Farms and the National Breast Cancer Foundation. She was named UN ambassador for Womens Entrepeneurship Day, a Nominee for Telstra Woman of the year and the Australian Growth Company Awards 2015. Karen is also a huge ‘foodie’ and has been a food and luxury travel journalist for over ten years, writing for a diverse range of publishers. She doesn’t have holidays, but has research and writing trips! To balance this out she is an avid runner having completed both New York and London Marathons, though these days she is more likely to be seen jogging around Blackwattle Bay at a much more sedate pace!